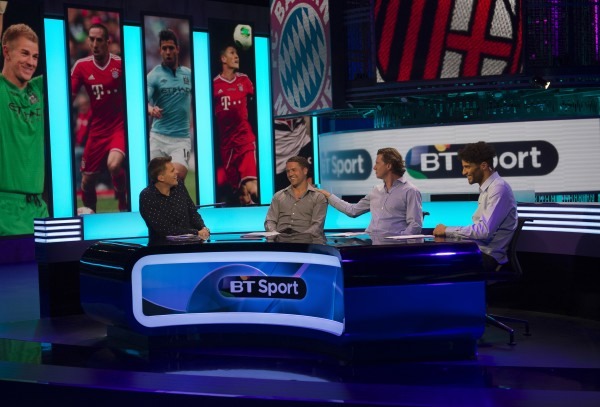 Three months into their broadcasting efforts, new UK sports broadcasting challenger BT Sport have revealed their progress, to the extend of currently holding over 2 million subscribers (based on existing subscribers with access to the channels through BT TV, satellite, or online options), it was recently announced. 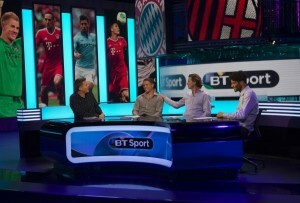 The channel noted that their new package of 3 channels (BT Sport 1, BT Sport 2, and ESPN) has now been taken on by a milestone number of households, and while a portion of those have not been fully ‘paid for’ under the terms of their promotional campaign to help reach that figure, it can be seen as an indication that they are fulfilling their goals in the market so far. A key element of this figure is also the tie-in between BT Sport and the telecommunication company’s other services, with BT’s broadband offering believed to have benefitted greatly from the presence of the channels, with the increase in package subscribers bringing them to a ‘93% share’ for all ‘broadband net additions made between July and September. However, company chief executive Gavin Patterson has warned that their goals are only part-way reached, citing the need to keep up service performance and interest in the networks through high-profile rights such as Barclays Premier League football, amongst others. The company as a whole recognise an increase of over 156,000 users across the 3-month period, double the increase seen at the same point in 2012, and marking growth past a total of 7 million people. Patterson added that the 4% growth of quarterly consumer revenues was the first increase in the department in a decade, assisted primarily through a 17% rise in ‘broadband and TV turnover’, a natural result of BT Sport’s current strong performance. Additional statistics include the slowing down of ‘line losses’ to 65,000 for the period exceeding analyst expectations, and a rise of 70,000 users for the BT TV set-top box service making a current total of around 900,000. The leading drawback to their new sports venture is a rise in operating costs by 8%, but in return the investment has paid off, with overall ‘pre-tax profits’ increasing by 2% to £609m. On a more negative point for BT, their viewer count for individual broadcasts of sporting events has seen a rise in viewer numbers from Sky Sports and a decrease by BT Sport (in comparision to last season’s leading Sky competitor ESPN last season), though the latter cite a higher ‘audience share’ than ESPN enjoyed, and claim different timeslots as the cause of the changes. With their efforts seeming to be reflecting strong performances in the face of Sky’s platforms in all other areas than broadcasting, though, will the pair’s numbers remain stable after the initial fluctuation caused by BT Sport, or will changes be around the corner for one or both?